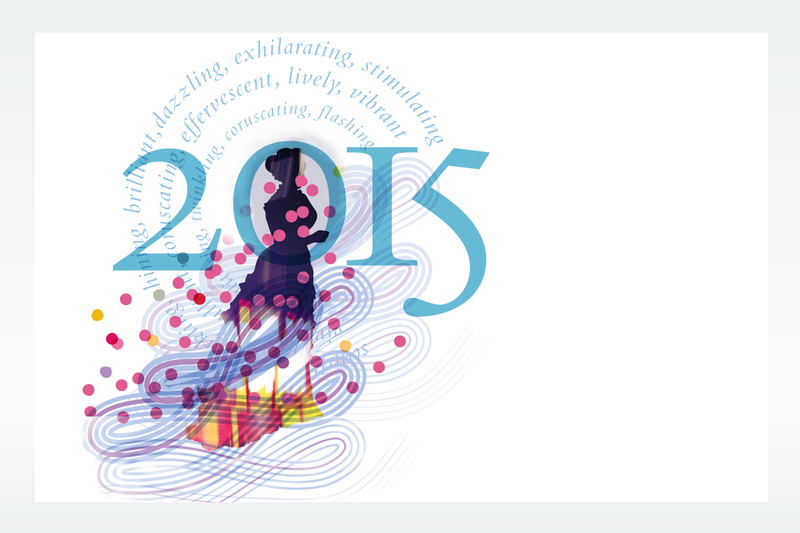 Here’s to 2015 // Freebie alert! …Let’s make it brilliant, dazzling, exciting, exhilarating, stimulating, vivacious, coruscating, effervescent, lively, vibrant, ebullient, sparkling, shining, bright, gleaming, glittering, twinkling, coruscating, flashing, shimmering, shimmery…and all that! 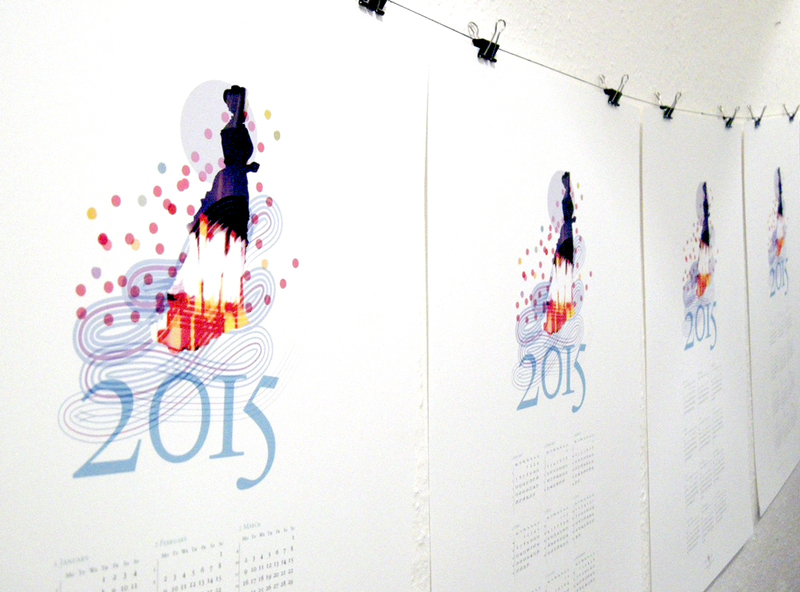 If you’d like a free copy of our 2015 The Sun & The Moon Calendar, featuring the mysterious Victorian Lady with the zany ‘Times Square’ patterned skirt, just contact the studio!